1881 Ran Toledo to Put-In-Bay, Lake Erie, in passenger trade. 1881, May Made first trip Toledo - Middle Bass Island, engine broke down on return trip. 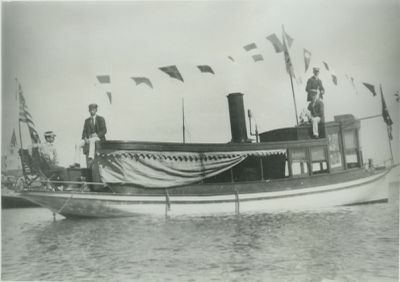 1890, Jun Owned by Grosse Pointe Club, in collision with tug ONAPING on Detroit River, sunk. 1890, Jul Raised & taken to Detroit Dry Dock Co. for repairs. 1897 Last listed, owned by C.B. MacDonald, Chicago.